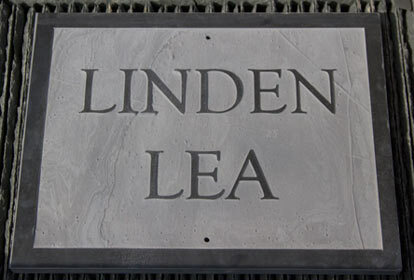 The Sign Maker for the very best in Bespoke House Signs : Modern slate house signs with the background sandblasted away and then painted. 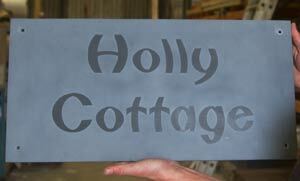 Here we have a new type of slate house sign which looks really amazing. You do however need to choose a bold font from our fonts page to make it work successfully. We will then create your design with or without a border using the font of your choice and to the size you specify. 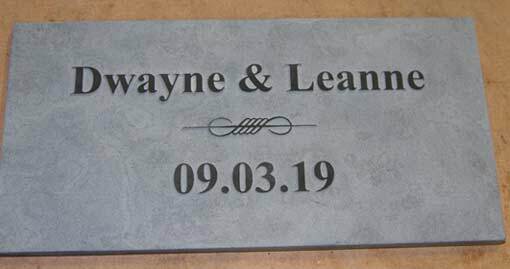 The slate will then be cut, honed and the background around the letters will be sandblasted away leaving the lettering slightly raised. The background can be left plain or spray painted white, black, Farrow & Ball lichen - a pale green which looks lovely against the grey or F&B purbeck stone which is a very light grey. Plain backgrounds do show all the interesting features in the stone. Painted backbrounds do make the lettering stand out. 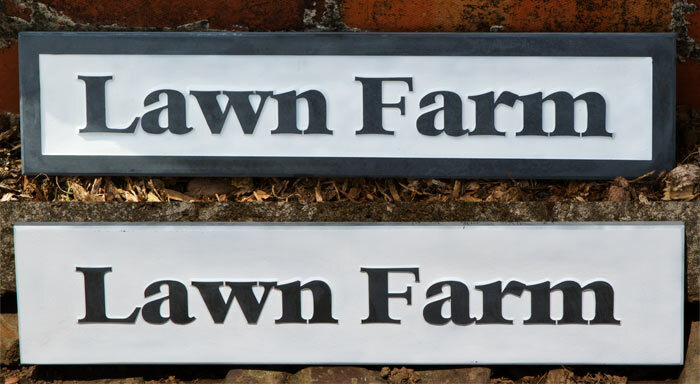 We feel this type of slate house sign is best fixed with an adhesive. However we can design with standard holes @ £1.10ea or countersunk holes @ £1.95 ea if required. 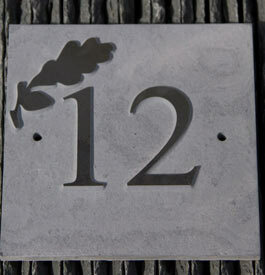 The prices for 12mm and 20mm slate house signs are listed above. 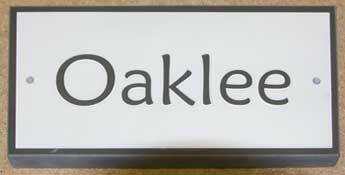 For thicker slate house signs with raised lettering - click here. The prices above show the pricing brackets, but the slate can be cut to any size within these brackets. For help choosing the correct size for your wording click here to use our self design software. Made in the UK. 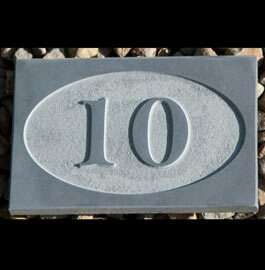 Our team at The Sign Maker looks forward to helping you with your modern slate house sign.